Come hang out with us on Friday night at NoBAR, located at 10622 Magnolia Boulevard in North Hollywood. Have a drink, enjoy the generous happy hour featuring $2 beers and $4 drinks, and scope out the competition. The party starts at 6pm and there is no cover charge. This is what it's all about! The competition will be at The Federal Bar in North Hollywood. Doors open at 2pm and the competition starts at 3:30pm. We've got something special planned at the California Institute of Abnormalarts (CIA for short), a performance space and oddity museum like you've never seen. 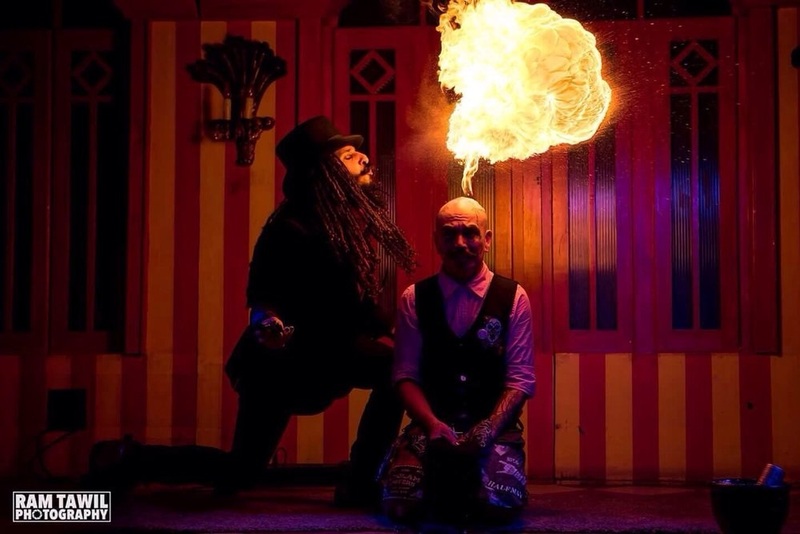 With a stage, dance floor, and a raft of strange talismans ranging from a cursed arm to the perfectly preserved body of a turn-of-the-century dead clown from Detroit, it's going to be a night to remember. The party starts at 10:00pm. Come recover from a long weekend of partying at Idle Hour in Burbank, located at 4824 Vineland Ave. Take the edge off with a Bloody Mary or $15 bottomless mimosas, and give your new friends a long, tearful hug goodbye until you see them again at next year's competition. Brunch starts at 11:30am.